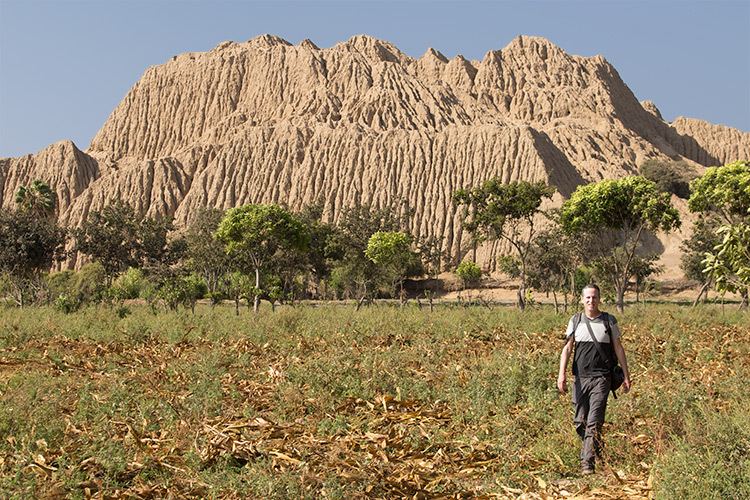 If it seems from our previous posts that all of northern Peru is one vast burial site, that’s because – well – it kind of is. There is literally buried treasure everywhere. Unfortunately, a lot of it is being dug up by grave robbers who sometimes hit the markets to hawk their booty. Stepping out onto the balcony of our room here at Gocta Lodge, it’s hard to believe this view isn’t on the cover of every travel magazine on the planet. 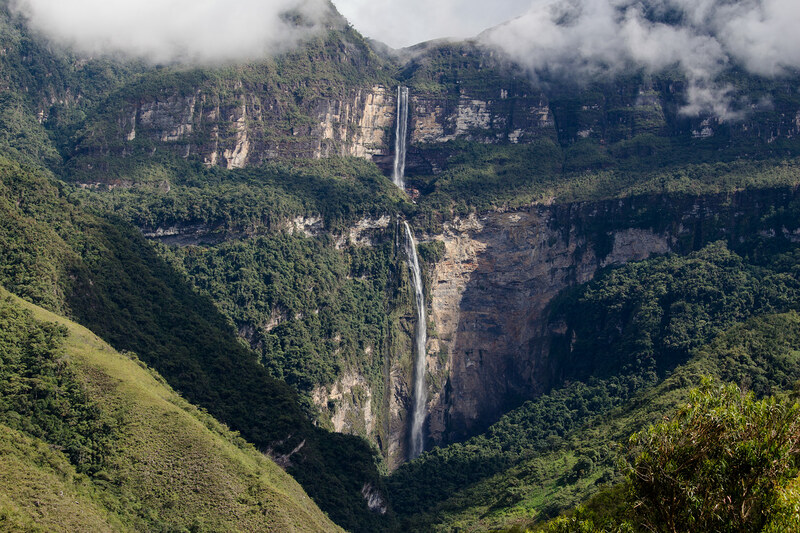 We came to Chachapoyas to explore Peru’s rising star Kuelap, which many are calling the Machu Picchu of the north. Yet, the view from our hotel room may eclipse that rising star. 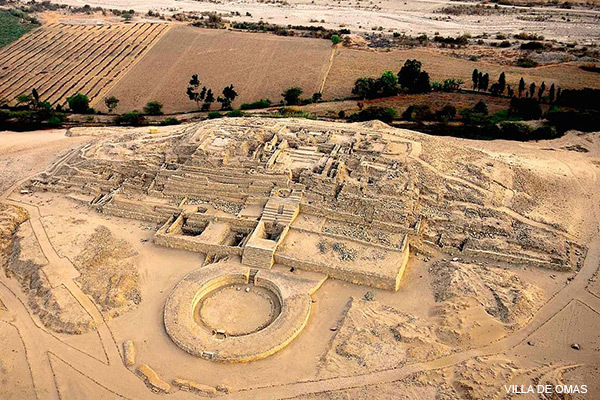 As we mentioned in our last post on Caral, much of northern Peru is gloriously neglected by the country’s mass tourism. 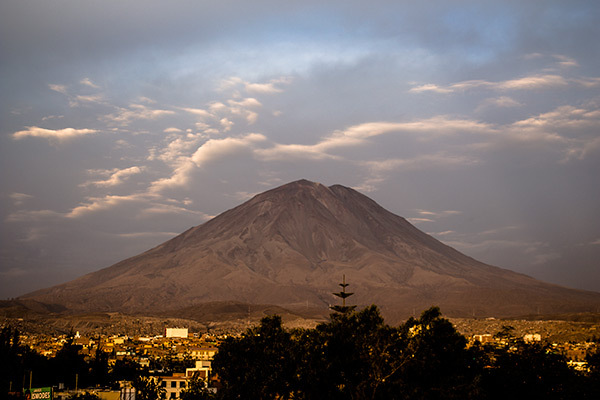 It’s a vast area filled with colonial towns, great food and the crumbling remnants of unknown ancient cultures. It’s an adventurer’s paradise waiting to be explored. As we bused north on the paved Pan-American highway to Trujillo, the number of seductive dirt tracks luring travelers off the road to remote archaeological sites was almost too much to bear. We passed a number of remote ruins which I would have loved to visit including Paramonga, the fortress of Chanquillo, and Sechin. Thank god for visa limitations, or Thomas and I would be here for another six months combing the desert, side valleys and mountains for hidden treasures. 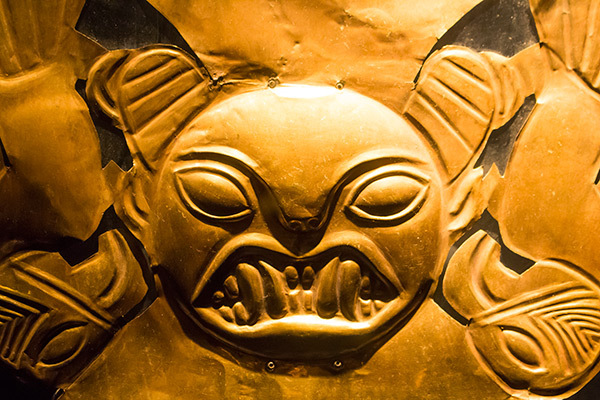 Caral just might be the most fascinating place in the world you’ve never heard of. Located 200 km north of Lima in a desolate desert gorge to the east of Barranca, the mysterious complex of six stone pyramids and huge sunken amphitheaters is considered the oldest major urban center in the Americas… by far. Lima is one of those cities which travelers tend to rush through. More than once, we’ve heard tourists count their luck that they only had to spend a few hours here in transit, or were able to bypass the metropolis altogether. So we were quite shocked when we got here and sort of fell in love with this South American capital. Lima has a fun, quirky vibe, and Limeños are humorous, welcoming and helpful. 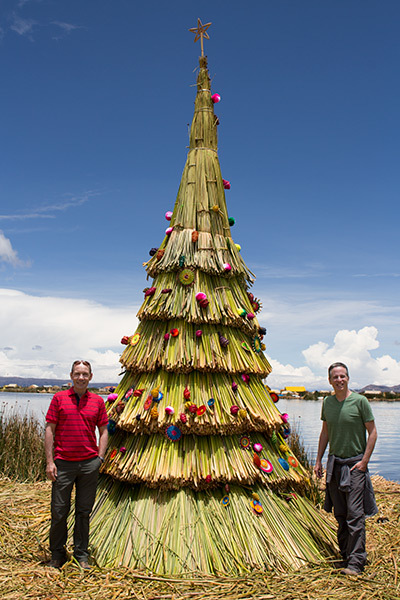 Merry Christmas to all our friends and family from the Islas Uros, the floating islands of Lake Titicaca. Time to gather ’round the tribal reed Christmas tree and sing some carols. It took me a whole week before I could pronounce the name of this little Sacred Valley town without totally embarrassing myself. Luckily, I quickly learned that locals referred to Ollantaytambo as Ollanta which makes talking about this gem to locals much easier. 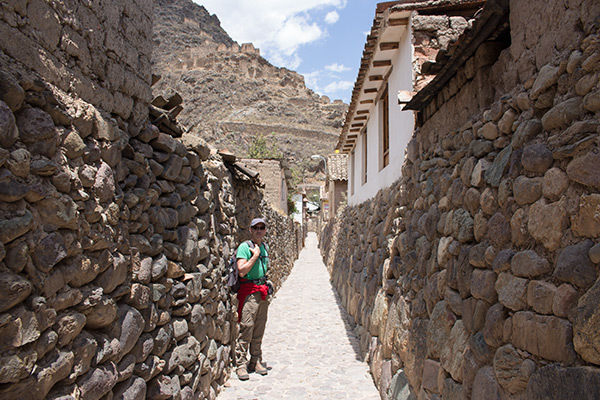 Most tourists make a quick stop in Ollantaytambo to visit the famous ruins on their way to Machu Picchu, but few people seem to notice the town itself. Big mistake! With its gurgling irrigation channels and narrow cobblestone streets, Ollantaytambo is a surviving example of Incan urban planning and a living work of art. Staying here is an absolute no-brainer for architecture freaks like us. We love daring adventures: tracking wildlife in the jungle, clinging to sheer rock walls, crossing 17,000 ft passes in the shadow of crumbling glaciers. 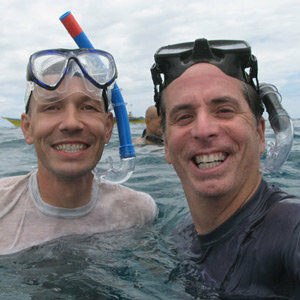 You wouldn’t think that a boutique hotel could rise to our standards of “epic” experiences. 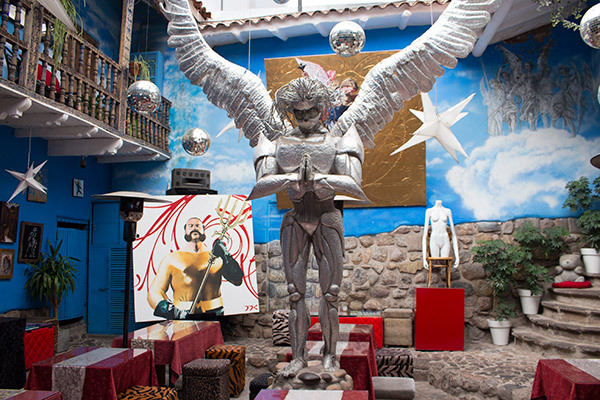 But then again, you’ve probably never seen Cusco’s Fallen Angel.